This is 3 in one tool for web developer and web masters. 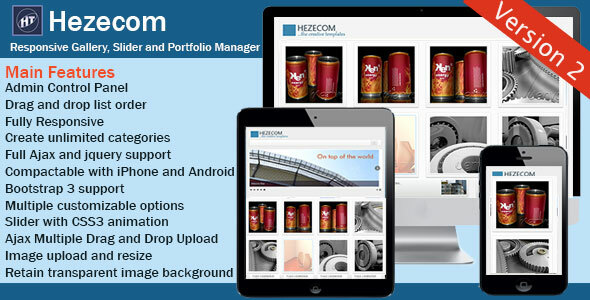 This app support Image Galleries, Portfolios and Sliders. It is full of exciting features which includes easy drag and drop list order with fully customizable options. The Admin control panel is protected with password to secure your uploads. It is very easy to use and understand. Please answer the question below and send! © 2014 Hezecom Email Solution. All Rights Reserved.